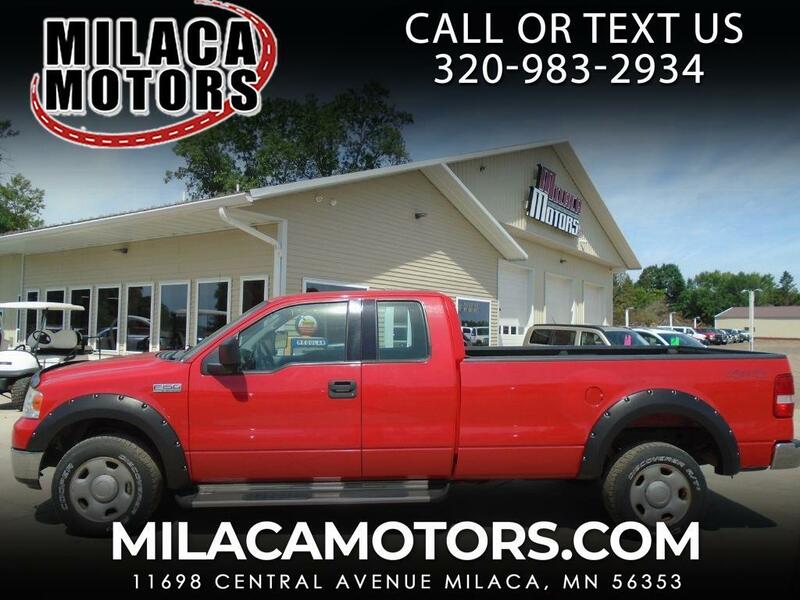 This 2004 Ford F-150 is offered in Extended Cab body style, with more spaciousness, power and features than ever before. This Ford F-150 boasts 8ft. cargo bed (designed with hauling in mind) and a 300 horsepower 5.4-liter V8.